With reference to my legal action to block our government’s loan commitment to the IMF you may have heard me say that I am not necessarily opposed to giving the IMF more resources. I must now admit that in light of continuing events in Europe I may have to revise my original statements. I said that I was not necessarily opposed to the IMF goal per se, for two reasons. Firstly, it may be beneficial if it prevents another financial crisis like 2008 that led to a catastrophic slump in demand for our exports. Secondly, my opposition to the loan pledge is founded on considerations of rule of law and democracy. In my view, and that of a majority of other Singaporeans, who find the AG’s arguments extremely evasive and nonsensical, our loan commitment to the IMF is caught by a law that requires it to get Presidential and Parliamentary approval first. So, I stressed that I had no objections to the IMF’s firewall fund, per se, in order not to co-mingle an issue affecting our rights to representative democracy at home in Singapore, with general opposition to the IMF, already out there. In fact my action was just a mirror of that taken by the Auditor General who caught a soft loan to the World Bank’s International Development Association, in breach of the same Act. That loan was scrapped, raised again and put through the correct procedures, namely that Presidential approval was sought (see here). Before you read any further let’s have a quick quiz. Rank the citizens of these States and Cities in order of standard of living from prosperous to conditions of austerity. In Europe consider the citizens of Italy, Germany, Greece and Portugal. In south East Asia consider the citizens of Taipei, Singapore and Kuala Lumpur. OK, now read on. Anyone who doubts that the bulk of IMF lending is going to the Euro Zone has only to look at the latest IMF quarterly report which shows that 88% of lending is to Europe and the top three borrowers are Greece, Portugal and Ireland. New evidence has emerged that these countries may not be so meriting of our charity after all. A new study by the European Central Bank (ECB) (see New York Times report here) has suggested somewhat controversially that the Germans may be being misused. Germans considered the prosperous people of Europe, have been asked to dig deep into their own pockets to bail out the rest of the Euro Zone. But are they actually poorer than the citizens of many of the countries they are being asked to support? Ireland is already one of the major recipients of IMF loans under its recent debt restructuring and bank bailout. Spain has received a Euro 100 billion facility from the ECB to restructure its banks. Both Italy and Spain are likely in the not too distant future to require a similar debt restructuring to the smaller Euro Zone economies such as Portugal, Ireland and Greece. At this point both countries will probably receive support from the IMF under the new firewall arrangements. If the Euro Zone crisis worsens, and every indication is that it is far from over, Singapore’s loan commitment is likely to be called upon sooner rather than later. So just like the Germans we are lending to countries whose citizens are much better off than ours. I cited here the 2009 survey by UBS which showed Singaporeans’ living standards roughly on a par with those of the inhabitants of KL and lagging behind Hong Kong, Tokyo, Seoul and Taipei. The 2011 report (Singapore was mysteriously dropped from the 2012 survey) showed Singaporeans’ real hourly net pay at 40.7 with New York at 100. Dublin was on 101.7, Madrid on 75.6, Milan on 75.3, Lisbon on 65.1, Barcelona on 71.6, Rome on 53.6, Athens on 59.9 and Nicosia (the capital of Cyprus to which the IMF recently lent Euros 1 billion as part of the banks’ rescue package) 93.7. It is not even clear if net comparisons are appropriate. Though Singapore performs better on comparisons of net pay because of our lower taxes the inhabitants of these European countries receive an incomparably more generous package of welfare benefits from their governments in return for the higher taxes. Medical treatment is largely free in most of these countries and they also have old age pensions and income supports that Singaporeans can only dream of. Of course the PAP government wants to play the role of generous benefactor internationally with our money. All authoritarian regimes crave recognition and respectability. It helps to mute criticism from foreign governments. Libya, or Gadhafi’s son, was a generous benefactor to UK universities. Our scholars are an important source of income for Cambridge University and other elite institutions. It additionally allows them to maintain the fiction of good economic governance. The IMF is all too happy to oblige. The PAP could be likened to Robin Hood but in reverse since the rule seems to be give to the rich and keep Singaporeans in austerity. In fact when will Singaporeans wake up and realise that they live in conditions of austerity, self-imposed and completely unnecessary? Grace Fu recently strengthened the reverse Robin Hood philosophy by condescendingly saying that the government will shoulder a greater proportion of healthcare bills but that the need for co-payment would remain in case Singaporeans were tempted into “overconsumption” of healthcare (see here). While there should probably be some need for co-payment I believe this should be capped and reduced for those on low incomes. It is hypocritical of our government to be telling our citizens they won’t be allowed to ‘over consume’ on healthcare while contributing to supporting countries with generous welfare states where health care is not limited. 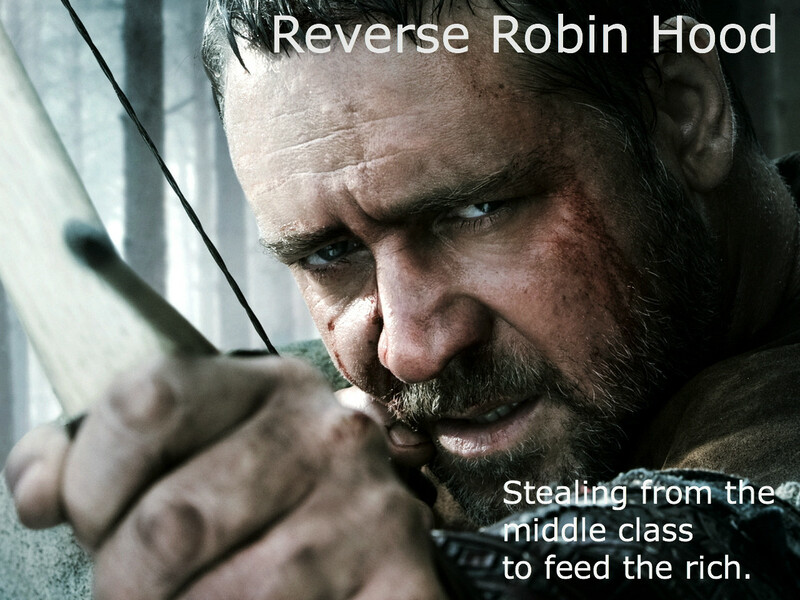 In my next post I will be showing how our government plays Robin Hood in reverse domestically. In my rebuttal of Stiglitz, I already touched on the inequity of our tax system. I will add to this with details of our government’s policies on foreign labour and the effects of its monopoly over much of the domestic economy that keeps prices needlessly high. Until then please try not to give too much money away to the already wealthy.